We're kicking off the new year with some exciting changes! Those of you keeping a close eye will have noticed we didn't send out an update in December. We decided to spare you from one more email during the busy holiday season and instead group all the changes from the end of the year into this month's update. Looking for more places to apply your newly acquired KonMari skills? You can now create folders to house employee documents. When you create a folder, it will be accessible on every employee's documents tab in their profile, where you can then organize them to your heart's delight. For more information on document folders, refer to our help article here. Collecting tax forms from your new hires is now easier than ever. When you indicate that you want an employee to provide their tax information, the employee will be prompted to digitally complete any necessary TD1 forms as part of their standard onboarding process - all within Collage. No more downloading, signing, and re-uploading needed! The signed and completed forms will show up in the employee's profile for easy access. Try using folders to keep these important documents organized! Dive deeper into this new workflow here. Input fields, attachments, and now: multiple choice! 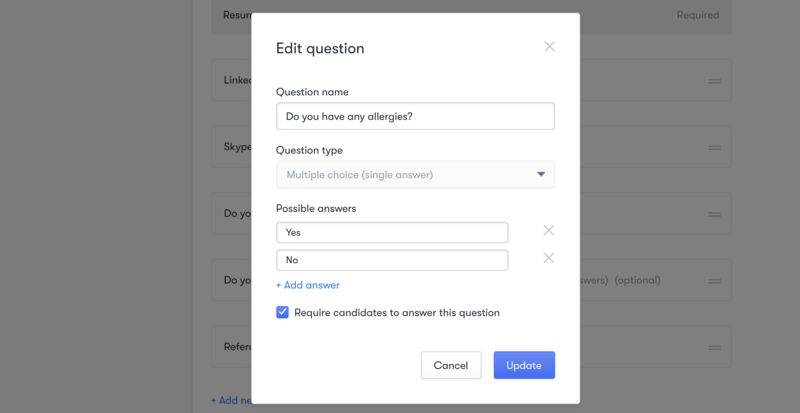 Job postings now support custom fields for single-answer and multi-answer multiple choice questions. When submitting an application, candidates will be prompted to select from a dropdown of options. You can also indicate if the multiple choice question is optional or mandatory. The options are limitless! Candidates you mark as hired in Greenhouse will be immediately ready for onboarding in Collage. You can get started by following the instructions under Company Settings > Integrations > Greenhouse. 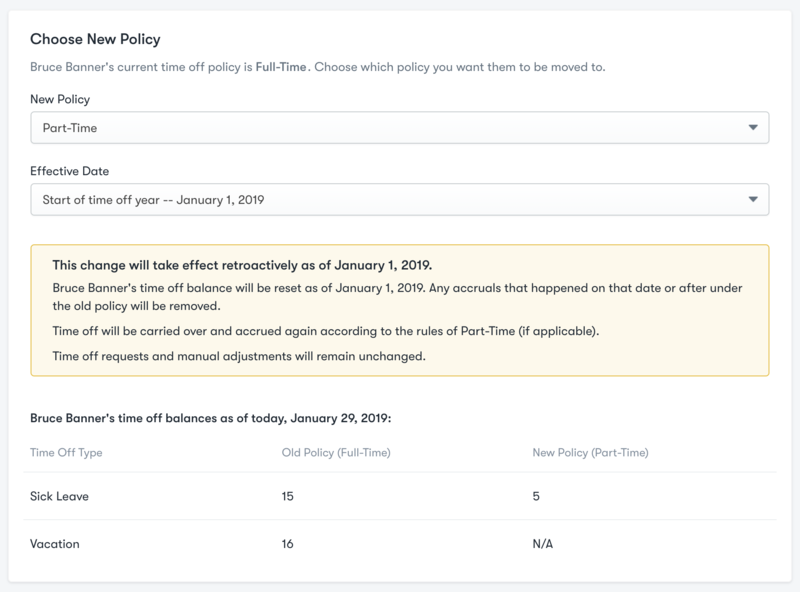 Adding, moving, and removing employees from time off policies is now much clearer. These actions have been moved to the Time Off tab on the employee profile. When you opt to add or move someone to a new policy, you'll be given options of how and when you want this change to take place. You'll be shown their current and new balances side-by-side, making it easier to ensure you are applying the right change. When annotating PDFs to be digitally signed and completed, you can now include optional text and textarea fields for parts of your document that are not mandatory to complete. Employees will be allowed to skip these fields when filling out the document. We've also added checkboxes, which can be handy when assigning additional tax forms or medical documents. Continuing with the recruiting theme, you can now pull reports on all candidates across your entire recruiting funnel. Filter down to a specific position to dig deeper into how candidates answered specific questions. Attachments associated to a candidate in recruiting will be brought over to their employee profile when hired. 2019 Canadian statutory holidays can be automatically added to your calendar, regardless of whether you have already manually added holidays or not. Thanks as always for reading and sharing your feedback with us. See you next month for another round of updates!